A couple weeks ago, a book was published on Amazon, Barnes & Noble, and Smashwords that I’d waited for for years. No, not the latest installment in George RR Martin’s Song of Ice and Fire series. It wasn’t by a big name author – in fact, until a few months ago, I didn’t even know the author’s name! Every winter, I judge in the Golden Heart®, the Romance Writers of America’s annual contest for unpublished romance. In this contest, the first three chapters and a synopsis are judged – up to 55 pages total. There’s no commenting – each entry gets a single, numeric score ranging from 1 to 9, with 9 being the highest. Little direction is given beyond that we’re supposed to be choosing “the best in unpublished romance fiction,” and that each entry should be judged on its own merits, not against the others in our packet of 5 – 7 entries. I’ve been a member of RWA since 2000, and probably have judged the Golden Heart for ten years. Based on the 1-9 scale, I’d consider a 5 to be “average” unpublished romance fiction, a 1 to be unreadable, and a 9 to be can’t-stop-thinking-about-it, want to read the rest NOW. The lowest score I’ve ever given was a 2.5. I’ve given several in the 8’s, but only one 9 in my ten years of judging. That entry was a paranormal romance called Ashes in the Wind. The story was about a young noblewoman in the Roman empire who found herself inexplicably drawn to a gladiator slave and begged her father to spare the man’s life. For the next two chapters, she bargained her jewelry and other valuables for a few stolen moments with her gladiator here and there, unaware she and her love interest were under the care of a pair of guardian angels who’d been tasked with getting them together. But the bumbling angels didn’t count on one thing: Mount Vesuvius, and their charges die a horrible death in each other’s arms while trying to escape. And that was where the entry ended. I was choked up (something that doesn’t happen to me easily! 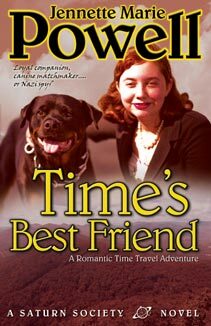 ), and even though I had the synopsis and knew how the story ended, I thought about this book for days afterward. I judged it in 2005 or 2006, I think. I was astonished when it didn’t make the finals (what were the other judges thinking???). Some entrants put their names on their entries, but most don’t, and RWA doesn’t release names of judges or entrants, nor will they forward emails. I hoped this book would be published, and that I’d hear about it, because that was the only way I’d get to read the rest. Even years later, I remembered it, especially each year when I received my GH packet and wondered if I’d get anything that good. 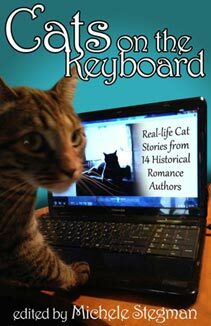 After I decided to take the independent route with my books, I joined a Yahoo Group for indie romance authors. New people joined every day, and often answered the invitation to introduce themselves. A few months after I joined, an author named Lori Dillon joined and described her book, a reincarnation romance set in Pompeii. It was that book! I couldn’t believe it, and I emailed her. We have something else in common in that we’re both graphic artists-turned-web designers. 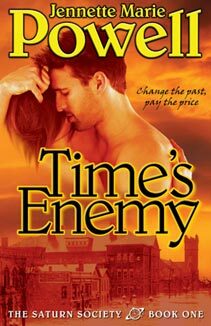 She also read my book Time’s Enemy and gave it a wonderful review. The book was released as Out of the Ashes earlier this month, and I bought it right away. It didn’t disappoint! 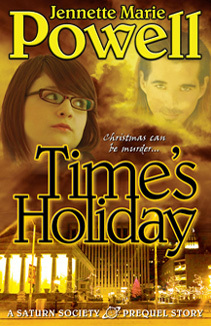 You can read my review on Amazon, Barnes & Noble, or Goodreads. The book is also available on Smashwords. If you enjoy an emotionally-rich romance with a paranormal element that’s not the same-ol, same-ol, Out of the Ashes is a must-read! Have you ever picked up a book that for whatever reason, you didn’t finish – only to find it again years later? Did it meet your expectations? This entry was posted in Blog, Good Books, Reading and tagged author, contest judging, ebooks, Golden Heart, good books, Jennette Marie Powell, Lori Dillon, Out of the Ashes, paranormal romance, reading, romance, time travel, writer. Wow! Great story! I’ve judged The Daphne for about 7 years. There are two that really stick out in my mind that I keep thinking about and wondering what happened to them and if they’ve been published. One finaled. The other didn’t. Maybe I’ll get to finish reading these two as well. I sure hope so! Jennette, the same kind of thing happened to me with a Shelia Contest entry. I loved the entrant’s chapters and dark hero and told her so in my judging packet. The coordinators were allowed to forward thank you notes, and the author included her email in her note to me. I wrote to her, and years later, when her book was published, she contacted me. I went right out and bought the book. Don’t you just love it when a good read finally makes it into print? Rhonda, isn’t it great that we now have indie publishing? Lori had an agent and everything, but no one would take a chance on this book. Most of it’s set during WWII, which is such a tough sell. CD, that is so cool! I did judge another GH entry that I really liked, that went on to be published – The Ravencliff Bride, by Dawn Thompson. I loved the book (and went on to buy several of her others), but as a GH entry, it didn’t grab me the way this one did. Oh, Jennette. I woke up to a Google Alert this morning and came straight here. Now I’m crying in my coffee. That has to be the sweetest, most wonderful thing anyone has ever said about my writing. I’m not in this business to make money or become the next Nora Roberts (although that would be nice *G*). I want to touch people with my words, maybe make them laugh a little, and leave them knowing that everyone deserves a happily ever after. You’ve made my day, week… Heck, I’m printing off and framing this post. Thank you, from the bottom of my heart. I’ve got Time’s Fugitive on my Kindle. I can’t wait to find out what happens with Tony and Violet. What a great story! Thank goodness for indie publishing. And the internet. I have books in my memory that I read and loved and never heard from the author again. Books that weren’t a cookie cutter tale (though those have their place as well). I must admit, you’ve gotten me intrigued about Lori’s book. Of course, I still have Jennette’s in my TBR, but I will get to it! That’s so awesome that you finally got to read the rest of the book, got to know the author, and, yay, so wonderful that Lori’s book is now published! Woo hoo! I love success stories. This post totally choked me up. There is nothing like reading a contest entry and being moved by it. This happened to me a couple of years ago. The entry was an amazing paranormal with a Romeo and Juliet kind of theme … only, so much better! The author actually emailed to thank me for my comments and I asked her to keep me in mind when the book was contracted … because it was that good (despite not finalling). She did. I lost the information. But the book was released late last year or early this year. I’m so disappointed I don’t remember the author’s name or the title. I’ve been looking for the book ever since. Coleen, it’s a really wonderful book! 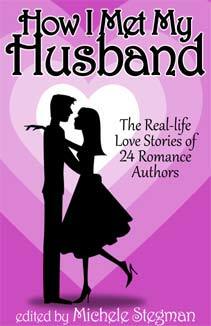 I was so excited when Lori joined our Yahoo group and I recognized her book description! Carly, so true! I have been reading more and more indie books, precisely because they *aren’t* cookie-cutter stories! This one definitely isn’t – it’s very worth the read! Nina, what a bummer you lost your information! I never had Lori’s name until she joined our loop. Hopefully you’ll see the book you want to read pop up like I did, and recognize the description! Wow what a story, Jennette. I’m off to buy the book – I’m sure it’s excellent. Just goes to show how small the world is these days. what an amazing story. This is a wonderful and inspiring story! I’m so glad you found Lori and her book! Louise – I hope you like it! Love this story, Jennette! Unfortunately the few contests I’ve judged haven’t moved me like that. So neat that this one came to light. Cool post. And isn’t this why we keep coming back to judging contests? Sure there’s a lot of dreck but those nuggets of gold make it all worth while. Lynette – I’ve judged waaaaayyy more “meh” entries – and entries that “need a lot of work” than ones like this – it was truly exceptional, which is why it was so memorable. Vladimir – me too! Thanks for stopping by! This would be a terrific story even if you made it up. That it’s true makes it even more outstanding. I love reading about such ‘connections’. 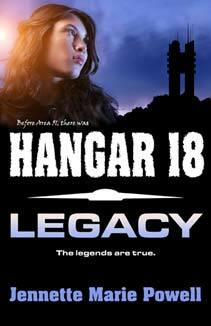 Thank goodness you remembered the title and premise … enough to recognize it when it resurfaced on publication. I entered GH for 3 yrs in a row …and then dropped it. The expense, hassle, stress and LOOONNNGGG wait for results was just too much. Plus, usually only one judge per year would seem to like my submission. I wish my entries could have reached your eyes. Jeff, it’s absolutely true! Cool, huh? I only entered the GH once – the rest of the time, I didn’t have anything at the right stage of readiness, and after 2007 when they changed publisher recognition, I became ineligible due to having contracted with an epublisher back in 2002. The time I entered, my scores were all over the board – it really is a crap shoot. And yes, it was such a pain to get all the paper entries put together on top of the $50 fee! What a wonderful story. It totally sold me on reading this book. Just bought it. Wow, what a fantastic story! Now I want to read both yours and lori’s novels! What I don’t get is why unusual romances are such a hard sell. I’d LOVE to read a WWII romance. It’s unique. Isn’t that a GOOD thing? I mean, I love a well written regency as much as the next gal, but COME ON. We have hundreds of years of history to choose from, let’s celebrate those that are off the beaten path! Anita – thanks! I hope you enjoy it as much as I did. 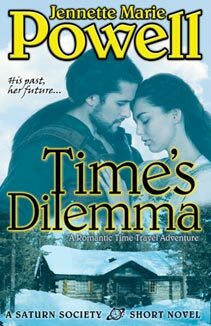 Laura – wow, that’s exactly what I’ve always said, “Regency’s fun, but there’s a whole world and a millennia of history to choose from!” My book Time’s Enemy is time travel to early 20th century America (including the Great Depression), and Time’s Fugitive also takes place partly in prehistoric America. If you give my books and Lori’s a try, I hope you enjoy them! How cool. I have Lori’s book in my Kindle. I love anything to do with Pompeii, Ancient Rome and reincarnation so her book is perfect. I once judged a contest entry that was wonderful. The author sent me a thank you note so I knew who she was. Her book sold at auction and has just been published. I can’t wait to read it. Cara – so cool that the author wrote you – and now has sold! And yes, you’ll definitely enjoy Lori’s book. Thanks for commenting! This meant so much to me, not only because Lori is my chapter mate, but because last year when I won the Golden Heart for my novel, Spy in the Mirror, one of the judges came up to me and told me how much the entry moved her. I don’t think anyone will ever touch me as much as she did. I had just received the award, and it didn’t yet feel real to me (most days it still doesn’t), but this lovely woman, gushing about my story, talking about my characters and wishing me the best, was overwhelming. The fact she wanted to read the rest, was amazing. I will never forget her and I will be eternally grateful. I am sure Lori feels the same way about you, Jennette, now. I had tears in my eyes as I read your post. Diana, thanks so much for sharing! Moments like this are what makes it all worthwhile, aren’t they? Congrats on your win, and hopefully your reader will be able to read the rest of your story soon!